They help us, so why don't you help them? Help these guys out! 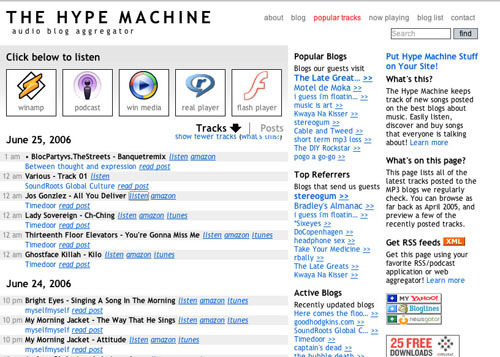 The NEW Hype Machine wants to see 10,000 of you before it comes out to play. Go to http://hypem.com! The Hype Machine follows music blog discussions. Every day, thousands of people around the world write about music they love — and it all ends up there. If you have beta access, enter here.